Whether your gym is located in South Dakota or just nearby, we invite everyone to compete on our stage. With state-of-the-art lighting, technology, and sound systems, we are certain that your athletes will have everything they need to give their all! Whether you are bringing your All Star teams, your All Star Prep teams, or Club Cheer, we are happy to provide a stage for them to leave everything they’ve got on the mat! Contact us today to learn more about the unforgettable performance experience that awaits them at a WSA national cheerleading competition. Even South Dakota residents may want to take this opportunity as a staycation for the family! Be sure to reserve your hotel by clicking here. Our South Dakota competitions are always a good time, so planning ahead is an absolute must. Feel free to bring the whole family and map out some destinations to see when you have down time during your competition weekend. 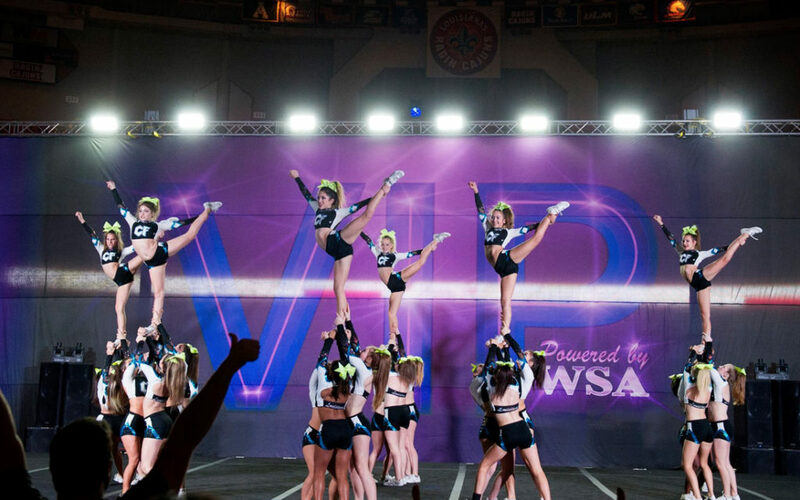 To sign up for the best cheerleading competition near you, make sure to contact Worldwide Spirit Association today. Your kids will have the time of their lives stunting, dancing, jumping, and tumbling across our stage. It’s their time to shine! We look forward to seeing all your South Dakota cheerleaders and nearby athletes perform.